The Beatles provided us with an underwater animated adventure many years ago with the film Yellow Submarine. 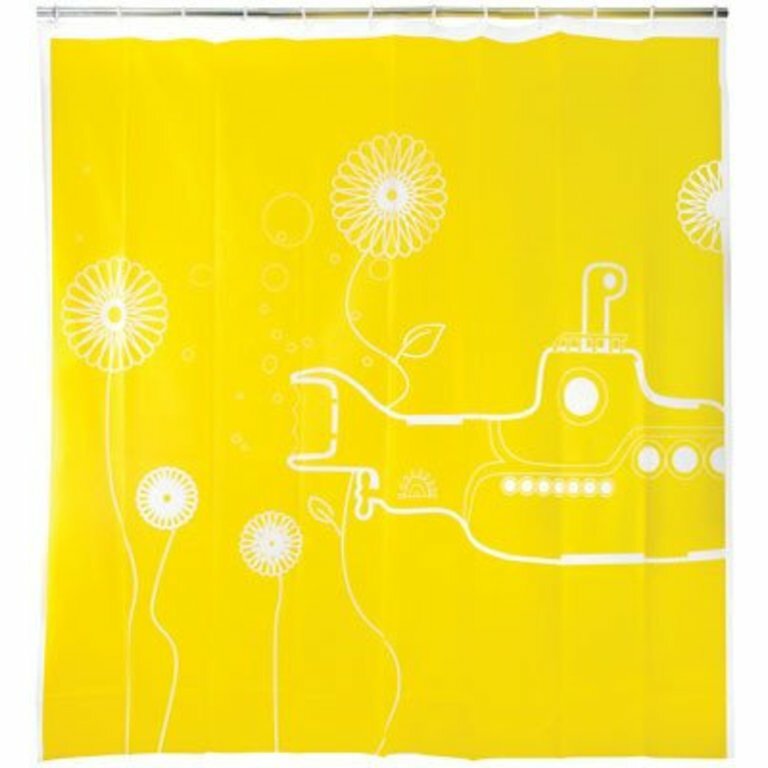 The maritime music can still live on in your bathroom. 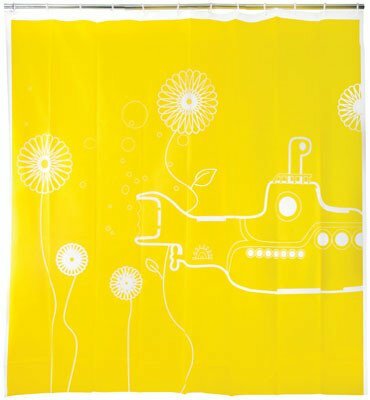 Designed by Jan Habraken this screen-printed on frosted EVA plastic shower curtain is one of many we carry that pay a classic homage to cinema greats. Measures 72" square.